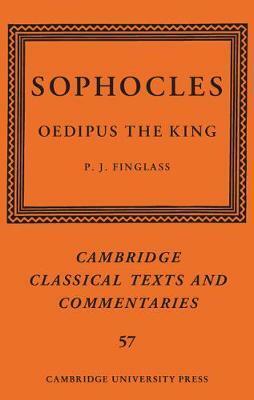 For centuries the myth of Oedipus, the man who unwittingly killed his father and married his mother, has exerted a powerful hold on the human imagination; but no retelling of that myth has ever come close, in passion, drama, and menace to the one that we find in Sophocles' Oedipus the King. This new full-scale edition of that classic play - the first in any language since 1883 - offers a freshly constituted text based on consultation of manuscripts ancient and mediaeval. The introduction explores the play's dating and production, its creative engagement with pre-Sophoclean versions, its major themes, and its reception during antiquity. The commentary offers a detailed analysis, line by line and scene by scene, of the play's language, staging, and dramatic impact. The translation incorporated into the commentary ensures that the book will be accessible to all readers interested in what is arguably the greatest Greek tragedy of all. Preface; Introduction; Text and critical apparatus; Commentary; Bibliography; Indices. P. J. Finglass is Henry Overton Wills Professor of Greek and Head of the Department of Classics and Ancient History at the University of Bristol. He has published editions of Stesichorus (2014), of Sophocles' Ajax (2011) and Electra (2007), and of Pindar's Pythian Eleven (2007) in the series Cambridge Classical Texts and Commentaries, and has co-edited (with A. Kelly) the volume Stesichorus in Context (2015), all with Cambridge University Press.